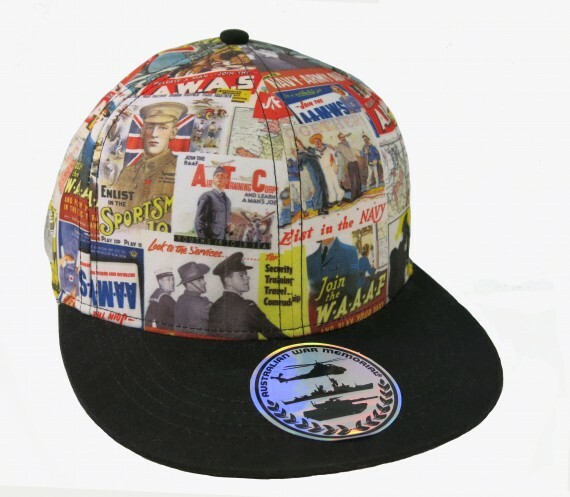 Stay sun-smart throughout summer with this stylish cap featuring an unofficial tri-service logo. 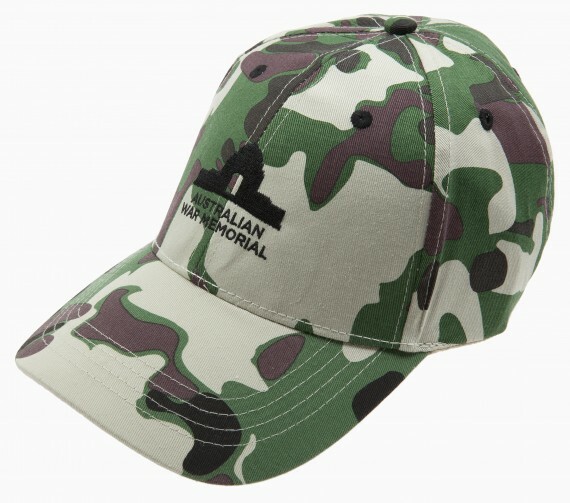 Representing each of the armed forces, the cap depicts silhouettes of a helicopter, warship and tank beneath Australian War Memorial branding. This machine-stitched cap is made from a heavy brushed cotton in a black, with white trim around the peak. 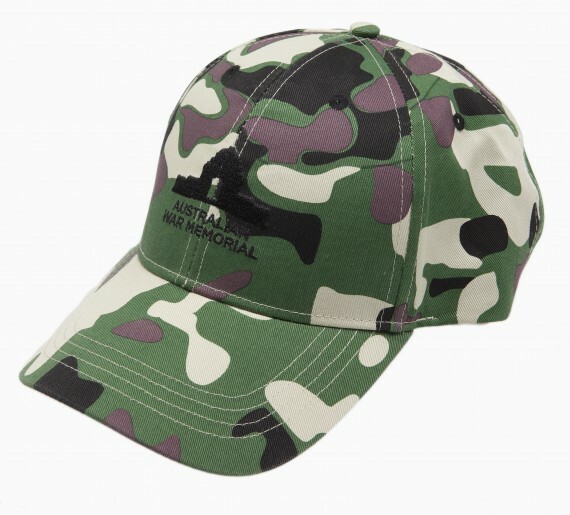 The embroidered logo is located on the front of the cap, with a stamped metal 'Australian War Memorial' logo on the right side. The cap is fully adjustable with a velcro closure at the rear. Size: Adult - one size fits all.